K. P. Culpepper and Nora Cooper on 27 Dec 1897 in Heard Co., GA, Book 1-122. + Purvey Cooper Culpepper, Son of K. P. & M. V. Culpepper, 6 Jun 1908 - 6 Aug 1909.
Cooper Culpepper died 6 Aug 1909 in Lamar Co., Alabama. Nora V. Culpepper, d. 4 Jun 1973 at 97 years in Sumter Co., GA; Res. 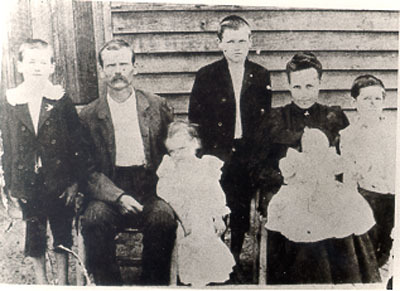 in Sumter Co., GA.
E. W. Culpepper and Eugenia Smith on 28 Nov 1900 in Heard Co., GA, Book 1-227. Eber Culpepper, Dau, F, Feb 1884, 16, Sng, GA/GA/GA. J. L. Culpepper and Beula Reynolds on 19 Apr 1903 in Heard Co., GA, Book 1-320. Robert Eile Culpepper, W, 14 May 1929 in Heard Co., GA, s/o J. L. Culpepper. Mary Culpepper, Mother-in-law, F, 60, Wid, ch 7/6, GA/GA/GA. Ebber A. Lancaster died 24 May 1958 at 74 years in Telfair Co., GA; Residence: Bibb Co., GA.
L. L. Culpepper and Stella Pace on 24 Dec 1916 in Carroll Co., GA, Book L-565. Cloy Culpepper, Daughter, F, 5/12, Sng, GA/GA/GA. Infant of Luther L. Culpepper, d. 8 Oct 1921 in Heard Co., GA.
Luther Lenard Culpepper and Jane Eula Neeley on 24 Dec 1958 in Carroll Co., GA, Book U-553. Ancestry.com. U.S. Cemetery and Funeral Home Collection. Carroll County Cemetery Committee, compiler, Carroll County Cemeteries (Including 1987 Supplement), Carrollton, GA: Carroll County Cemetery Committee, 1983, 1987, Repository: LDS Family History Library - Salt Lake City, Call No. FHL US/CAN Book: 975.839. + Sue Culpepper, 3 Nov 1929 – _____. Jack A. Culpepper, Son, M, 10/12, S, GA/GA/GA. Bell Culpepper, Wife, F, 15, md, GA/AL/GA. Jack A. Culpepper, d. 13 Apr 1973 at 44 years in Carroll Co., GA; Res. in Carroll Co., GA, 011333. Amos A. Culpepper, d. 20 Jun 1976 at 80 years in Carroll Co., GA; Res. in Carroll Co., GA.
Vonnie B. Culpepper, d. 11 Dec 1997 at 93 years in Carroll Co., GA; Res. in Carroll Co., GA.
Jack Culpepper and Suenette Mashburn on 22 Jun 1946 in Carroll Co., GA, Book S-291. Earnest H. Culpepper, d. 1 Sep 1985 at 86 years in Troup Co., GA; Res. in Troup Co., GA.
Homer Culpepper and Willie Mae Denney on 20 Jan 1918 in Heard Co., GA, Book V-376. Theo Winford Culpepper, Daughter, F, 5/12, Sng, GA/GA/GA. Willie M. Culpepper, d. 28 Dec 1992 at 92 years in Troup Co., GA; Res. in Troup Co., GA.
Winifred T. Hogg, Female, White, 75 years old, resident of Chatham Co., GA; died 22 Sep 1994 in Troup Co., GA; Cetificate 043137. Glena Culpepper and Brant Adair on 8 Sep 1918 in Heard Co., GA, Book V-381. Gladys Culpepper and Robert Williamson on 28 Aug 1921 in Carroll Co., GA, Book N-90. E-mail written 31 Mar 2011 to Warren Culpepper from Michael Runels (gs/o #5126), e-mail address.